What a weekend! We had 43 sheep sheared, fleeces were skirted, fleece samples were taken from each fleece, sheep were vaccinated and wormed, lambing pens were cleaned, the sheep area had a fresh layer of straw put down, fleeces were put in my shop, and lots of fun was had! I finally felt prepared enough to have an open invitation for shearing and I am so glad I did. We got so much done! Three great ladies and my husband helped with shearing on Saturday. We rotated through the various jobs that needed done. The whole day was possible thanks to our shearer, Jenny. 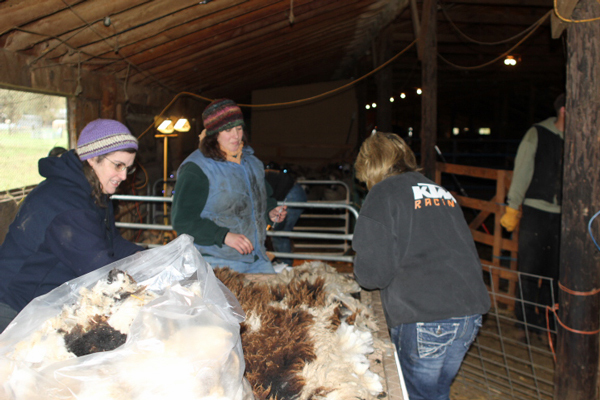 She handles the sheep gently, the fleeces come off beautifully, and she has some pretty cool stories – I think that last statement is part of the job description. As a whole, I am really pleased with this year’s batch of fleeces. Here is a sample from one of the ewe lambs! The length is about 4 1/2″ and so pretty!!! 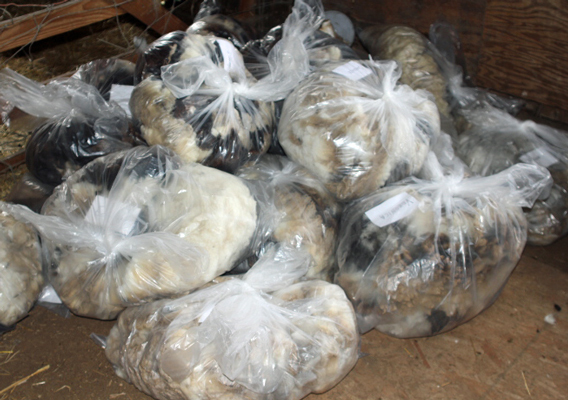 Here is about 1/4 of the fleeces. They are now piled in my shop and I desperately need some shelves in there to organize them! 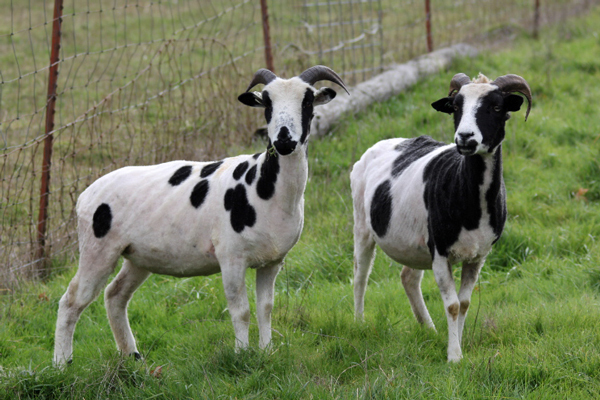 I love the crisp, black and white look when they are freshly shorn. With the bulky wool gone, you can really see the pregnant bellies! Veronica is already looking big and she still has 6 weeks to go. 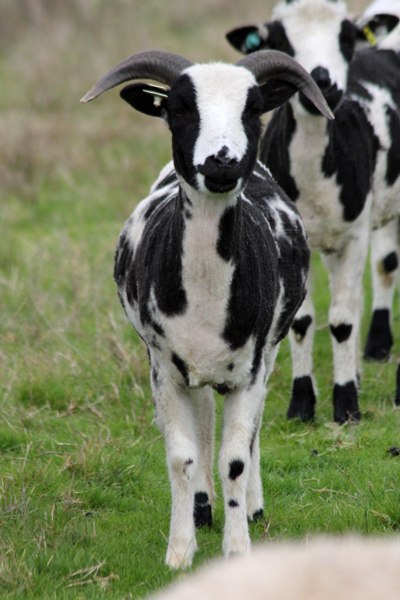 She is the one that had triplets last year, I wonder if she will have triplets again??? Chevelle still has her girly figure, but I am hoping there is a lamb hiding in there. She hasn’t lambed for the last 2 years, but there is a hint of an udder developing. We drew blood from her and a couple other girls and have sent it in for pregnancy testing. Patience isn’t something I am really good at 😉 Keeping my fingers crossed they all come back as confirmed pregnant. We should know on Friday! 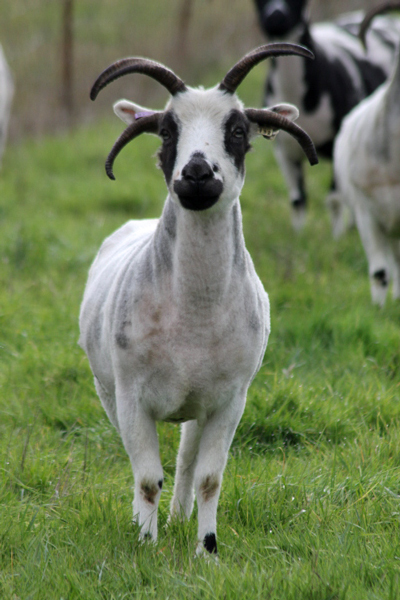 Little Emeline is still cute as ever and losing her fleece made her horns look even bigger! On Sunday another friend came over and we cleaned the lambing pens, creep area, spread straw, and spruced everything up. We had a great time chatting as we worked away. 20 days and counting for the lambing to begin! For those that are interested, fleeces will be added to my Local Harvest store in the next week or two. Please send me an e-mail if you are looking for a particular type of jacob fleece…there are many to choose from! Wow; can I borrow all your friends (and husband)?!? I have a LOT less sheep, so they would have even more fun here! 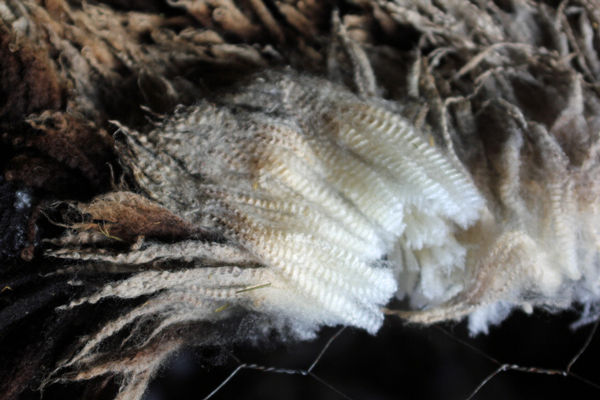 I still have three fleeces from a summer shearing that need skirting. Guess I need to decide if I’m going to shear before or after lambing this year, since it’s going to be earlier than normal for me. Tell me more about the pregnancy blood test – where, when, how much. 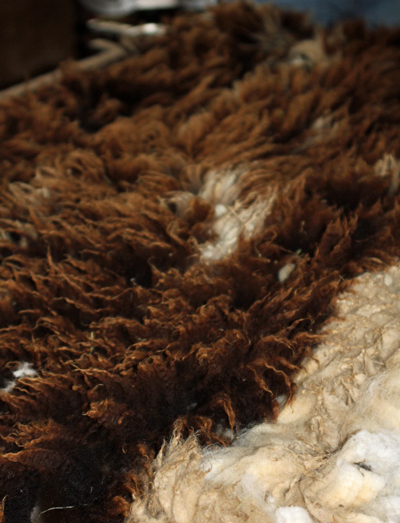 That lamb fleece you pictured is GORGEOUS, BTW! Send them here, too 🙂 I start out by keeping up with the shearer as far as quick skirting, but fall behind at about the tenth fleece. 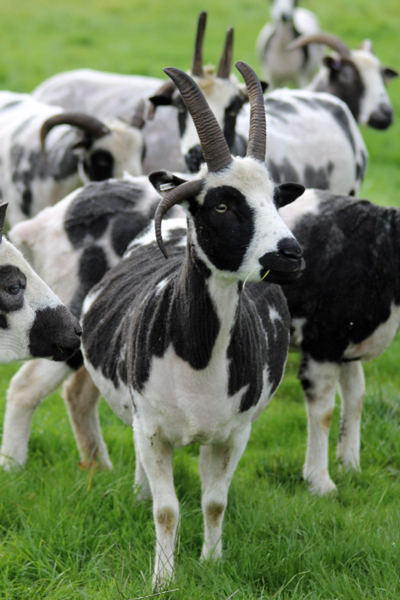 Your sheep look great – and so do the fleeces. That is how I usually do it Linda 😉 Thanks! You know they are very good friends when they are willing to come hang out in the cold for the majority of the day digging through dirty wool! I really do like shearing before hand if it is possible. The pregnancy blood testing is done through http://www.biotracking.com It is $6.50/sample. The tests are done on Wednesdays and results are available Friday. 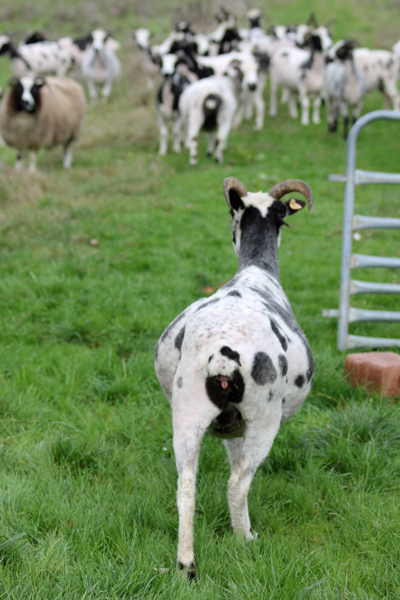 Very reasonable and a great way to decide if you are going to keep a ewe through the winter. Especially one that hasn’t lambed for the last two years 🙂 Thank you, I am hoping to coat the lambs soon to be yearlings to keep their fleeces clean.